Dominique Wilson, 27, currently resides in Vailsburg. She was born and raised in Newark, NJ attending Lincoln Elementary, Vailsburg Middle School and Arts High (visual arts major). She works a full-time job as a bank teller, but enjoys spending her time as Mikette - a Michael Jackson impersonator. Are you involved in the community: I am very active in the community. I am the secretary of Smith Street Block Association, I am active in the West Ward Federation, and I also do volunteer work at Freedom Ministries Church. I also volunteer at local elementary schools. Favorite Restaurant: My favorite Newark Restaurant is a small family owned restaurant called Jordan's Halal Restaurant. They serve very good food. I have been a regular for over 10 years. Favorite Newark Activity: My favorite Newark events are the St. Patrick's Day Parade, the Portuguese festival, and the Music Festival in Lincoln Park. They bring different cultures and backgrounds together. Favorite Newark Memory: My favorite Newark memory would have to be appearing and performing as Michael Jackson for the first time in my hometown last year at Greater Newark Conservancy's Fall Block Party (see picture above). There's no place like home. Looking forward to spreading more love. 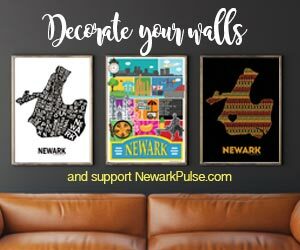 What is your best tip for someone new to Newark: I wrote on my blog a Newark Bucket List to show how you can yourself here and do so much (Bucket list coming soon). Here are a few points that I love: Visit the largest museum in New Jersey, the Newark Museum; See one of the largest Cherry Blossom displays in the country at Branch Brook Park; See a movie at Newark's own, Newark Screens Movie Theater; Watch the Nets or NJ Devils play, concerts, and shows at the Prudential Center arena; Shop downtown Newark and Admire Newark's unique skyline at night when you arrive.